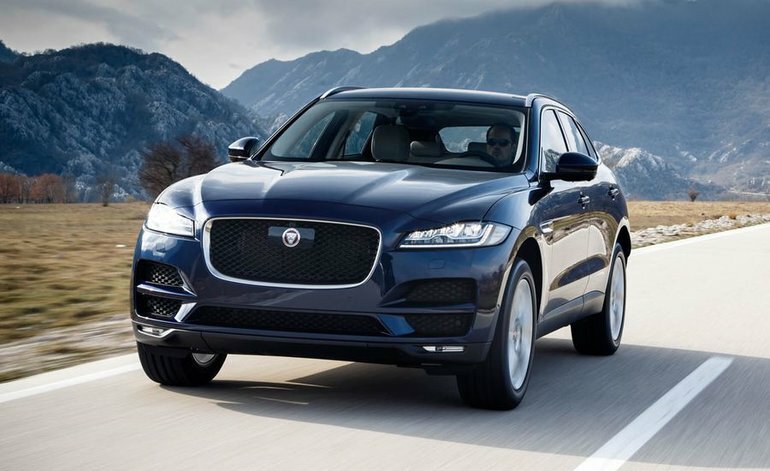 The Jaguar F-PACE was the British automaker’s first foray into the crossover realm, and while many thought them a bit mad for making the leap from luxury performance cars to a larger AWD vehicle, they clearly made the right choice. They’ve had impressive success with the F-PACE since it first emerged a few years ago. For the 2018 model year, Jaguar offers a new engine choice in the F-PACE: a new, more powerful 2.0L 4-cylinder that produces 296 horsepower. Of course, you can also spec your F-PACE with a choice of either a 247-horsepower turbocharged 2.0L or the more powerful 3.0L V6 that produces 380 horsepower. There’s even a diesel option that features Jaguar’s 2.0L 4-cylinder Ingenium range mill, which is good for 180 horsepower. 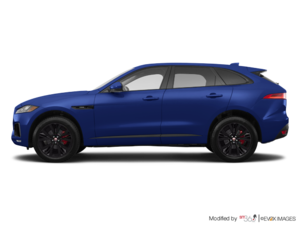 For those who thought the F-PACE was far removed from Jaguar’s racing and performance heritage, they need to take a closer look at this stylish crossover, because it will soon be available in SVR guise. That means it gets Jaguar’s potent 5.0L V8. It’s not available as of yet but will be soon, so make sure you ask for details when you check out the 2018 Jaguar F-PACE. In terms of looks, inside and out, the Jaguar F-PACE carries the instantly recognizable Jaguar front grille, will the screaming Jaguar emblem proudly emblazoned in the middle. The silhouette and shape of the F-PACE give the crossover a decidedly performance-driven stance on the road with muscular lines. Modern rear tail lights give the F-PACE a distinctive look, no matter the paint colour chosen. Inside, the 2018 F-PACE boasts premium quality materials and a layout that’s both aesthetically pleasing and easy to live with. You’ll find a fully digital gauge cluster behind the steering wheel, as well as an easy-to-navigate entertainment system that makes everything from phone pairing to navigation a breeze. And if you thought the F-PACE looked small, think again. It features 508 litres of cargo space in the rear for all your goods. To find out more about the 2018 Jaguar F-PACE, head down to Jaguar Windsor to speak with one of our experts about all that this luxury crossover has to offer. And don’t forget to book a test drive too.